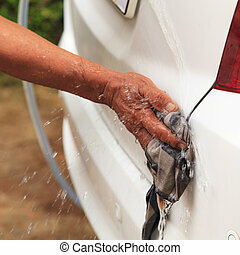 Wash a car. 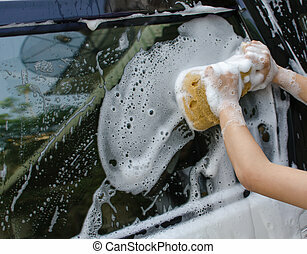 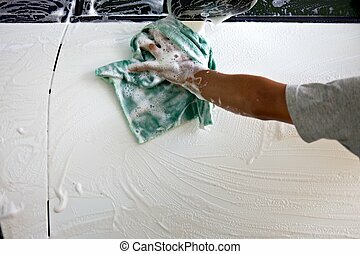 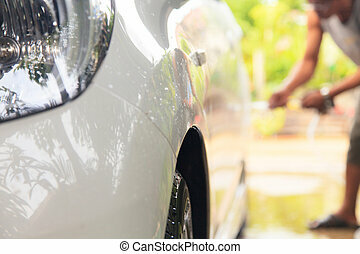 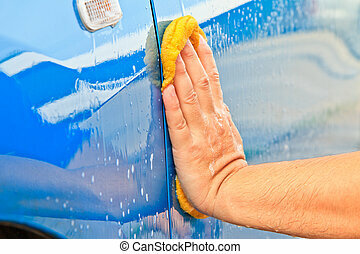 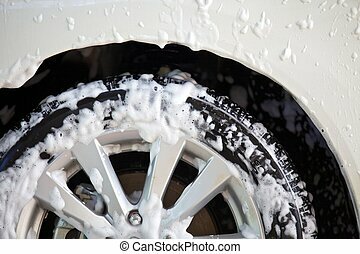 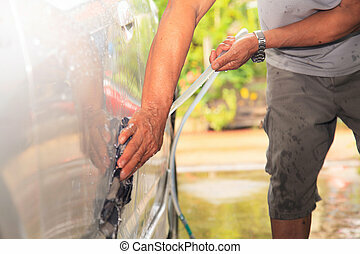 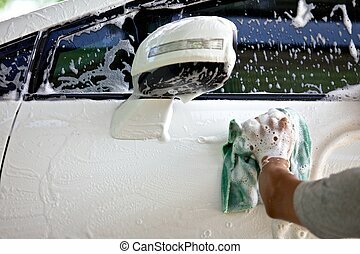 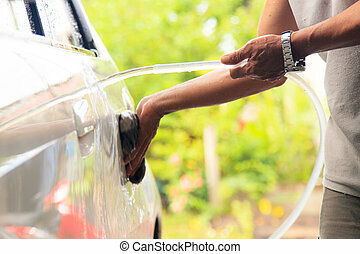 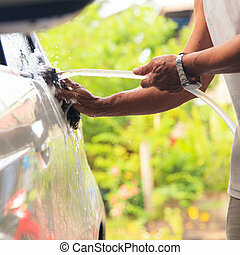 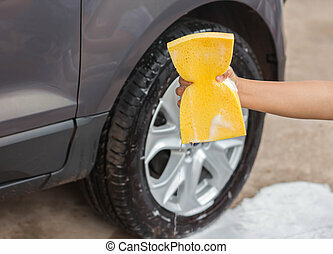 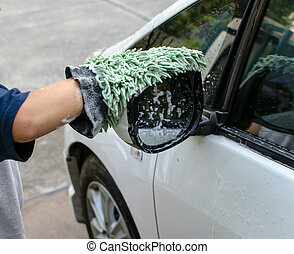 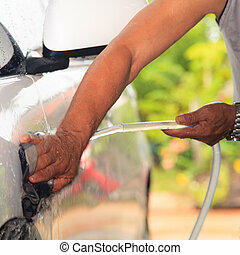 Man hand hold sponge car wash,wash a car by self at home. 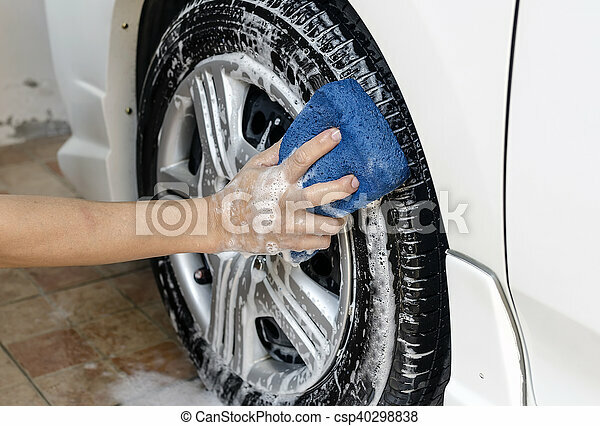 Man hand hold Sponge Car Wash,wash a car by self at home. 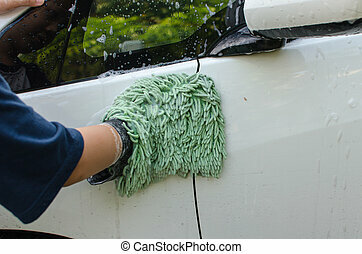 Car Wash with green cloth to wipe the car.